This self titled album is the debut UK album release from Russian Punks Biting Elbows. Citing influences including The Clash, The Misfits, Rancid and Violent Femmes they have a real punk sound and attitude. The album was recorded in five separate studios in Moscow as the band kept getting moved on from the places they were using. Their debut EP (Dope Fiend Massacre) was released last year, and has been quickly followed by this debut album. The CD/DVD comes in a nice gatefold package with a poster sized sheet that unfolds to give the lyrics to all the songs on one side and various drawings on the other.. I'd definitely recommend that you watch the video for "The Stampede" it's a superb video with its escape from an office (trust me its a lot more exciting than it sounds). The punk spirit is easy to see and hear in this album. You've got the music for a start, full of power, energy and agression. Then there are the lyrics covering topics like police violence and the scheming of untrustworthy governments and politicians. Before hearing this album I must admit that I didn't know there was a punk scene in Russia, but I'm glad there is as it's spawned this excellent band. If Punk is your thing then you really need to check out Biting Elbows - this is damn good stuff. To be honest more fans of Heavy Metal shoud try listening to punk albums like this one - there's often very little difference between Metal and Punk so there is plenty of punk music that metal fans will enjoy, and Biting Elbows certainly fall into this category. 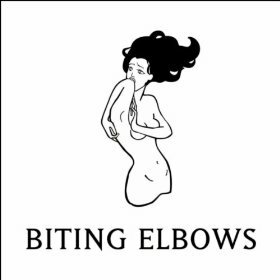 Biting Elbows will be released on 23rd July via Misteria records. 6. Who Am I To Stand Still?